Thanksgiving is at my house this year. Don't ask who signed me up for that one... 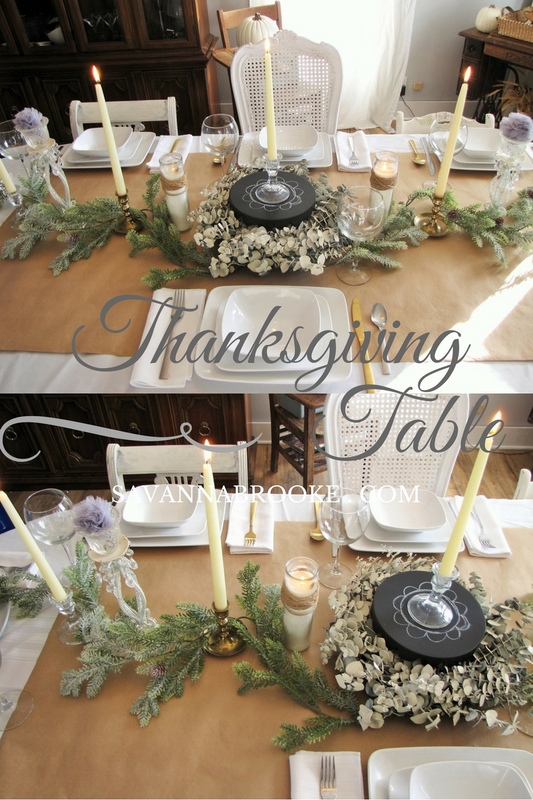 But I thought I'd do up a Thanksgiving table for you all to give you an idea for your own! I always love to decorate my dinging room table, for one it's the first thing you see when you come in my house, and two Thanksgiving is at my house this year! Did I say that already??? I'm stressed, OK??!! If you follow me on Instagram, then you saw my most recent project which was a scroll sign I made using some wrapping paper I had in my trunk for about a year featuring an amazing quote I fell in love with. I had some extra of that wrapping paper and thought I'd put it on my table for my family to write what they're thankful for on Thanksgiving. I have some more of it left so I'm going to put it on the kids table and I can't wait to see what all they write. I wanted to keep it light and bright and neutral. I hope my family loves it when they come in for our first Thanksgiving at the Naves. Have a wonderful and safe holiday this week! 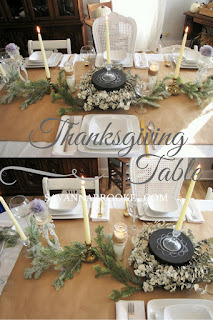 I can't wait to see more Thanksgiving tables. Thank you as always for coming to my happy place and seeing what I'm up to. It means the world to me!